Anne Harris enchants both the designers and owners of New York City’s most luxurious interiors as she brings their walls to life. 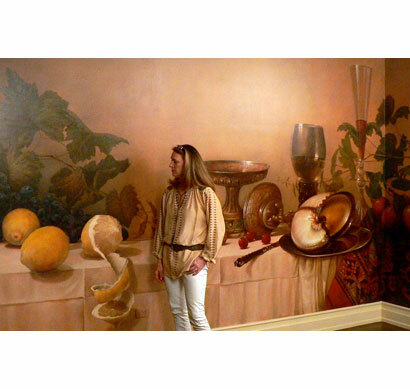 Her unrivaled talents range from old-master-style landscapes, which are characterized as realistic and tight, to abstract contemporary murals, color-matched perfectly with the room’s lighting so as to become one with the décor. Each commission is a personal story–sometimes of a client’s earlier days living in the English countryside, and other times just a design that both challenges and moves the artist herself.